Here’s the thing; most car dealerships’ facebook pages are devastatingly boring. To be blunt, they’re self-serving and unengaging. 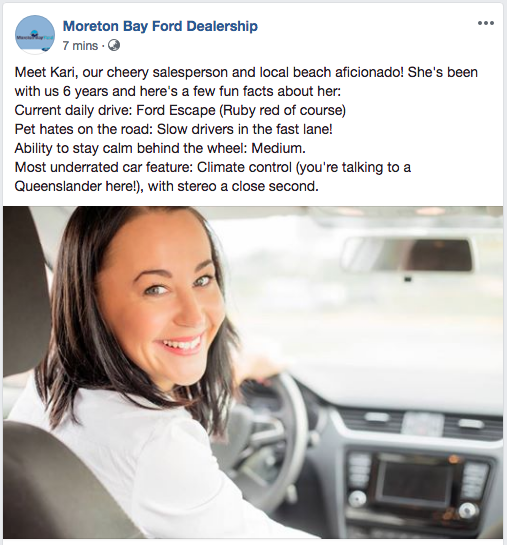 What’s frustrating is that it’s easy to create facebook posts for car dealerships that generate interest and drive local awareness and enquiries. In this article we’ll give you a few specific car dealership social media posts to run with, and explain why they work so well. As always, your social media plan should take into account your objectives and your audience. That said, these five posts take in some pretty broad concepts that apply equally well to just about any car dealership. But you can adapt them with some small executional tweaks to get them working for you. So whether you run a Mercedes-Benz dealership in an area dominated by retirees, or a Toyota dealership in a regional city selling ‘workhorses’, these posts will make their mark. Ask your followers to choose which colour they prefer in one of your latest and greatest models. 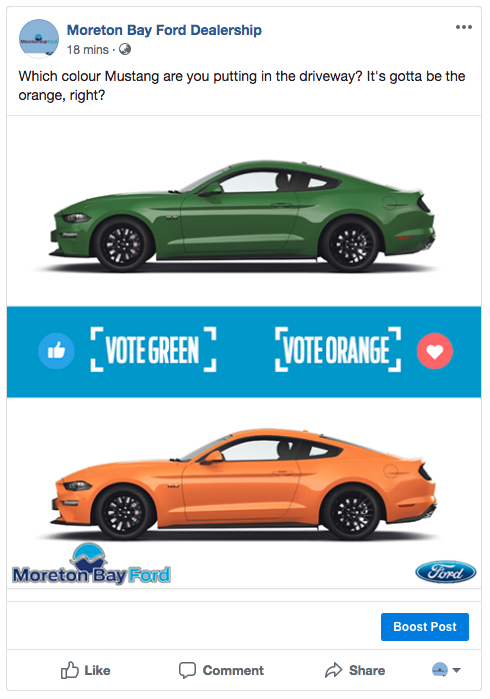 They can ‘vote’ with Facebook reactions, the emoji responses that appear when a follower hovers over the ‘Like’ button. Great visuals here are key; grab some high quality colour option images from your brand’s website. Stir the pot with a caption that generates a strong response like “Metallic blue is killing it in sales. You agree?”. This post puts followers in the enviable position as a car buyer making one of the key decisions in their purchase. Psychologically, that’s important as they’ll start to feel the excitement of a new car buyer which could be the precursor to thinking about new purchase. It’s a great excuse to show off some of your sexiest models. Plus doing it this way is far more engaging than the usual ‘product and price’ posts favoured by most car dealers. These posts nearly always generate debate in the comments section. Facebook will keep a tally of the votes that everyone can see. To keep the post’s momentum going, you should add to the comments with a tally update and your thoughts on the result. Is it surprising? Does it reflect what you see in sales? Share your insights, your followers will find it interesting. These colour voting posts generate ‘shares’. Cars generate strong opinions and tribal behaviour, so people are eager to share their opinions amongst their friends. The good thing about that is Facebook drastically improves reach of posts generating shares, as it considers it the most valuable type of post interaction. 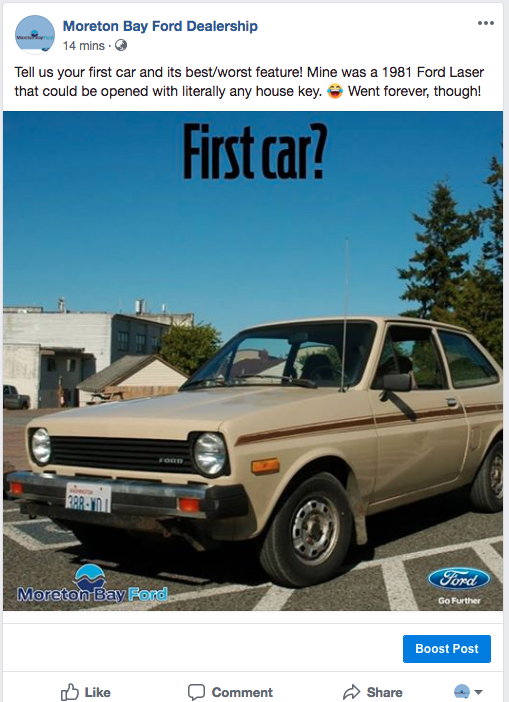 Ask your followers to comment what their first car was and their most memorable feature, good or bad. Important: you should get things started with an entertaining anecdote about your first car to set the tone. Immediately shows a human side to the staff behind the dealership. This builds trust and makes you approachable. Everyone has a ‘war story’ about their first car which they love to share, so this one always gets great engagement. Be sure to mention your own in the caption to get the ball rolling. Asking something about your followers shows you take an interest in their lives and stories…you’re not just there to sell at them! This post can actually be a clever way to show off your brand heritage – dig out an old model from Google images to use with the post. Feature a photo and short bio of a female staffer. Maybe they work in sales, maybe they work as support staff in the office. 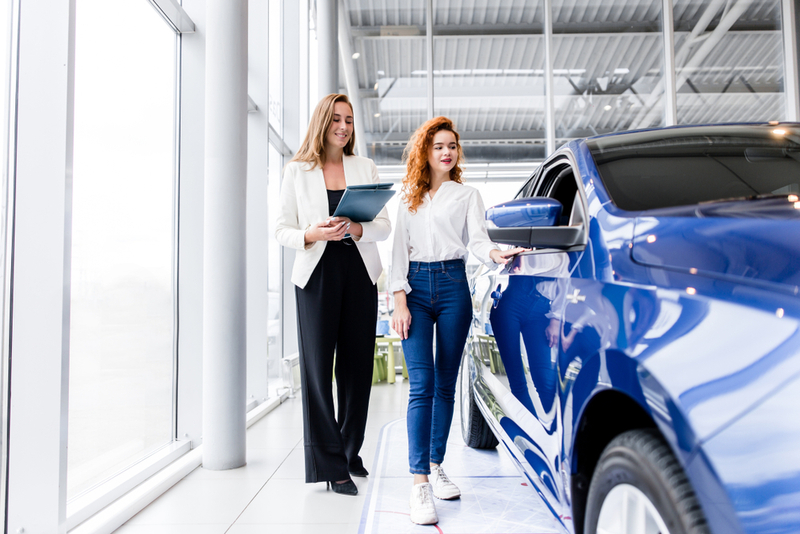 The important thing is that you present a softer, less intimidating side of your dealership, especially to other women who typically dread the car dealership experience. Firstly, it lets prospective female buyers know they won’t get the sleazy car salesman experience when they come in. As cliche as this is, it’s a pervasive perception and needs to be addressed. This is a great way to humanise your dealership. Chances are other dealerships can sell people the same car; differentiating on people and experience is important. Lastly, this is a top way to demonstrate passion for your product. In the caption, include the featured staffer’s bio in which they can mention their favourite car or their current drive. Take a nice HD video opening the drivers side door and getting behind the wheel. Pan across the dash to help the viewer visualise what it would be like getting into this car every morning. Video. Social networks love video! Facebook, Instagram and LinkedIn algorithms all put video content in front of more eyeballs as they try to encourage more users to post video on their platform. In some ways, interior videos are easier to pull off compared to exterior videos. The thing is exterior videos are common in advertising and its hard for your self-made vid to match the production of the car ads. Most brands are spending unholy amounts of money to shoot their new models driving through the Swiss alps. Chances are your smartphone-filmed video of the car driving down a suburban street won’t impress in comparison! This is a great way to get followers to envisage themselves as owners as they slide behind the wheel. You can nearly smell that new car scent. Here’s one type of post that many car dealers do that actually has a place in the social media plan. But please, make it about the customer, not about achieving a sales target! 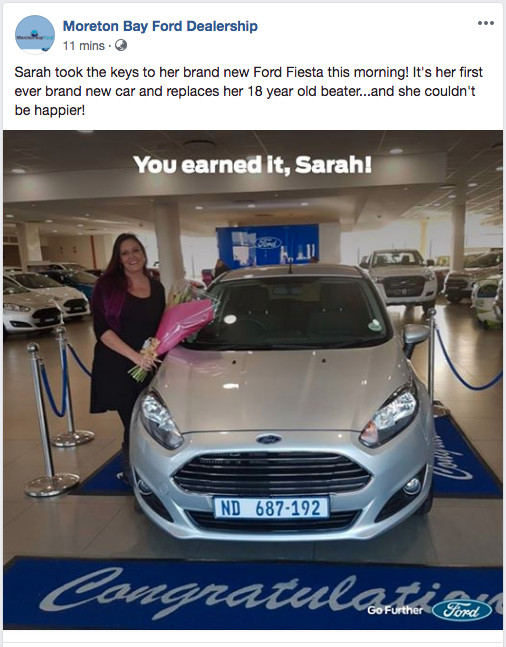 Here’s how to make it a winner; include the customer’s story in the caption. Is the new car a replacement for a 20 year old beater? Did the new owner save up with money from their casual job? Will it be used to ferry around four kids to sports practice? Will it clock a ridiculous number of miles as a work car for a road warrior? This sort of background information is the difference between a great new car delivery story and a so-so one. It’s a great way to share the joy of delivery day. Everyone remembers the moment they took the keys or can imagine it. This post shows the role of the car in that person’s life. The fact they are depending on your dealership and that car for such an important role speaks volumes for the amount of trust you have engendered to get that sale. And that’s great for credibility. There’s no excuses now, the above posts are proven winners so it’s over to you. Just be sure to put thought into your imagery and captions, and keep your business objectives in the back of your mind. What do you want your followers to think, do or feel when they see your post? It’s this thought that will have your Facebook engagement reaching new highs and help you achieve your desired business outcomes.